I recently discovered Scott Brinker’s Chief Marketing Technologist blog and recommend it as a useful resource for marketers. 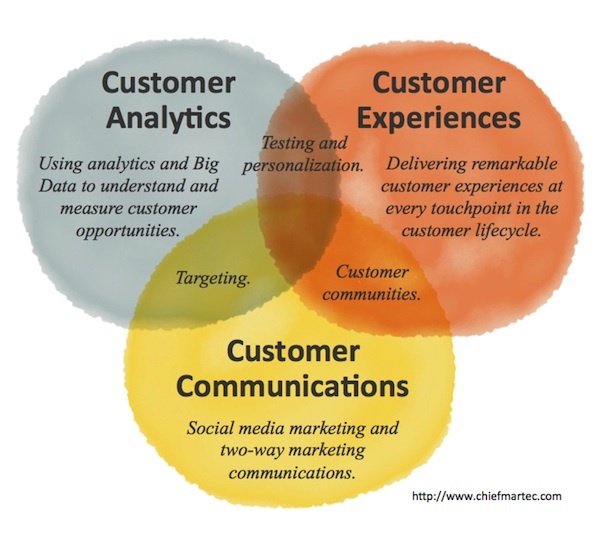 The Venn diagram above is from a recent post, 3 epicenters of innovation in modern marketing. It was the Venn diagram that first grabbed my attention because I love Venn diagrams as a communication tool, it reminded me of another Venn diagram well-received at the recent Gilbane Conference, and most of the conference discussions map to someplace in the illustration. As good as the graphic is on its own, you should read Scott’s post and see what he has to say about the customer experience “revolution”. Lest you think Scott is a little too blithe in his acceptance of the role of big data, see his The big data bubble in marketing — but a bigger future, where the first half of the (fairly long) post talks about all the hype around big data. But you should read the full post because he is right on target in describing the role of big data in marketing innovation, and in his conclusion that data-driven organizations will need to make use of big data though these data-driven and data-savvy organizations will take some time to build. So don’t let current real or perceived hype about the role of big data in marketing lead you to discount its importance – it’s a matter of when, not if. “When” is not easy to predict, but will certainly be different depending on an organizations’ resources and ability to deal with complexity, and organizational and infrastructure changes. What does my organization need to be prepared for? How should I determine the optimal solutions given the many options? What are the best practices for finding the best team to carry out my strategy and implement my chosen technology(ies)? What responsibilities do I have for making sure the team is successful, and how can I stack the deck in my favor? We will explore all of this and more in an entertaining, informative and actionable workshop. 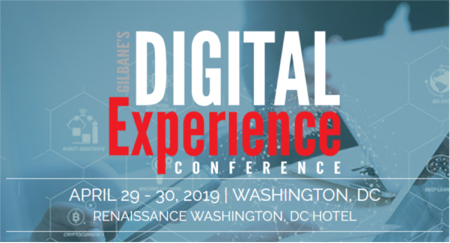 Led by Digital Clarity Group’s Scott Liewehr and Robert Rose, attendees will leave this workshop much better equipped to make strategic decisions about how to select and work with the team that help fulfill their vision. It is time to mark your calendar for Gilbane Boston 2012. We will be back on Boston’s waterfront adjacent to the new “innovation district“, at the Intercontinental Boston Waterfront. The dates are November 27-29, 2012.